He was born in 1977 in Ankara. 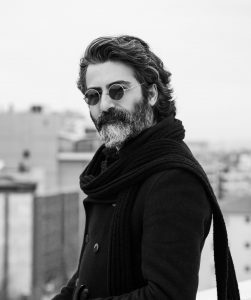 He studied at the Faculty of Fine Arts Graphic Department at Hacettepe University. He worked as Assistant and Teaching Assistant in the same department. He made short animated films, video clips, commercial films, generic designs, visual effects for cinema and TV series. He is currently working on graphic novels, graphic design and animation. His graphic book “Gozo and Sagre (Gozo ve Sagre) was published in 2018 by Iletişim Publishing.